The benefits of aluminum are numerous and impressive – military grade durability, corrosion resistant, lightweight and energy efficient. Aluminum has evolved from a completely unknown element to a precious metal to the sustainable metal of choice for industries around the world. 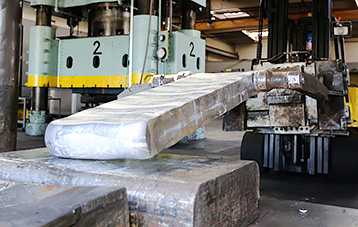 Today, aluminum is the cornerstone of aerospace, modern transportation, building construction and packaging industries. Specializing exclusively in aluminum forging is what allows Superior Handforge to quickly deliver your order while maintaining the highest degree of quality in the industry.